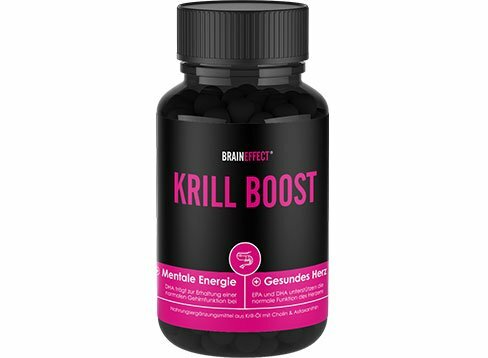 BrainEffect Krill Boost is the most concentrated EPA/DHA supplement currently produced in Europe. Contains 260 mg EPA+DHA per dose. Made from concentrated Antarctic krill oil. Contains 60 capsules. 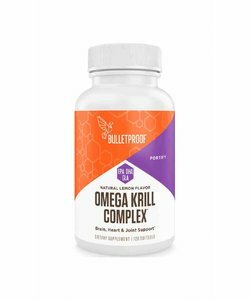 Why an omega-3 supplement based on krill? The omega-3 fatty acids EPA (eicosapentaenoic acid) and DHA (docosahexaenoic acid) are essential for good health. Both fatty acids contribute to normal cardiac function and DHA contributes to maintaining normal brain function, at a daily intake of 250 mg EPA+DHA and 250 mg DHA, respectively. 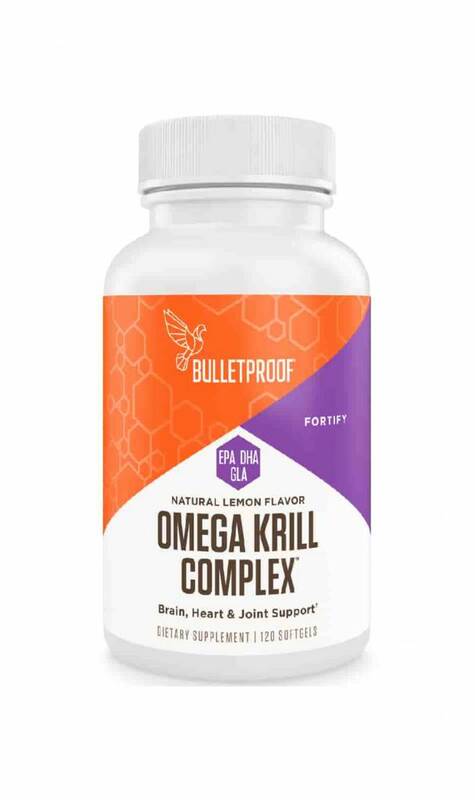 These omega-3 fatty acids are common in many cold water fish and small shrimp-like krill. The source of the omega-3 fatty acids is important for the uptake and use of omega-3's in the body. EPA and DHA from fish are mainly found as triglycerides and omega-3's from krill are more common as phospholipids. The phospholipid form is better absorbed and utilised by the body than the triglyceride form. Krill are extremely numerous in the ocean and makes up an important part of the diet of many fish. Because krill are very low on the food chain, krill oil is less likely to be contaminated with heavy metals or other toxins than fish oil. Krill oil also contains other nutrients, like choline and astaxanthin. 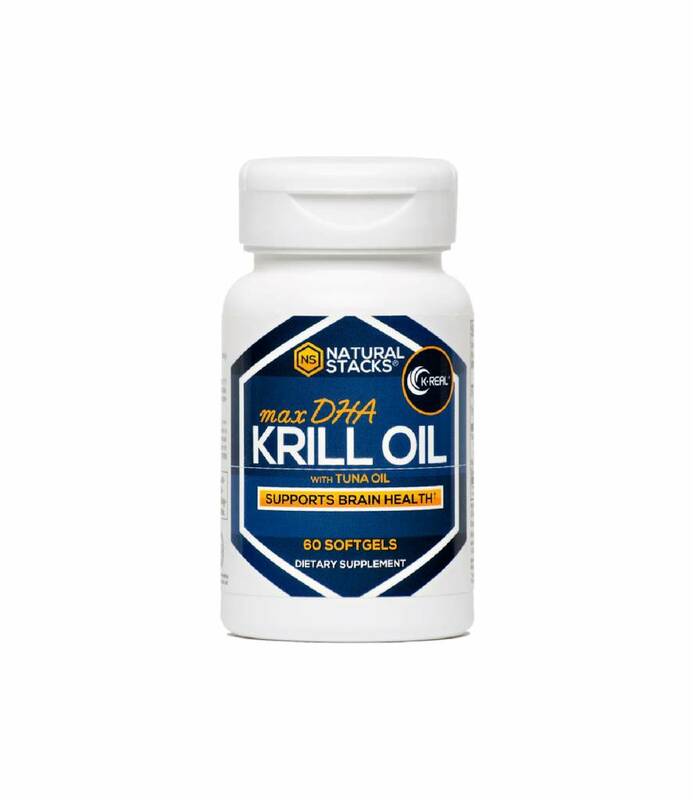 Choline contributes to a normal cardiac function and thereby works in concert with krill omega-3 fatty acids. BrainEffect is a German producer of supplements that pays a lot of attention to optimising the uptake and function of its products. BrainEffect works with high quality standards. BrainEffect uses Antarctic krill in their krill oil, which is caught using a method that results in very few by-catches. The krill is processed directly on the ship, making the krill oil as fresh as possible. The oil is then concentrated, providing more EPA and DHA per capsule. 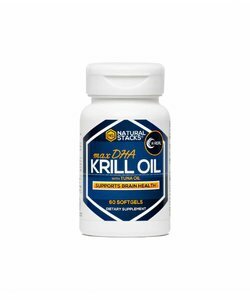 By using this production method, BrainEffect Krill Boost is currently the most concentrated EPA/DHA supplement made in Europe. BrainEffect recommends consuming foods high in omega-3 fatty acids on a daily basis, like cold water fish. 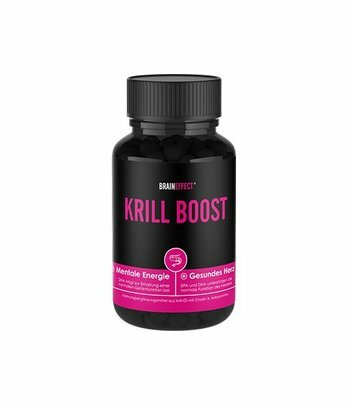 If you are unable to do so, you can use Krill Boost as a simple and high-dosed solution. BrainEffect recommends that people following a ketogenic / paleo diet regularly take an omega-3 supplement. Nuts and meat contain many omega-6 fatty acids. If combined with an insufficient intake of omega-3's, the balance of omega-6/omega-3 fatty acids in the body can become disrupted. DHA and EPA contribute to maintaining normal triglyceride blood levels (1). DHA contributes to maintaining a normal brain function (1). EPA & DHA and choline contribute to a normal cardiac function (2). (1) With a daily intake of 250 mg DHA. (2) With a daily intake of 250 mg DHA+EPA. Most concentrated European EPA/DHA supplement. Better omega-3 bioavailability than fish oil. Sustainably produced, directly on the ship. Produced in Germany, so with controlled, safe production. Take 2 capsules daily, without chewing and with sufficient fluids. One jar contains 60 capsules, sufficient for 30 doses. Can be stored in the fridge to extend shelf life. Ingredients: Krill oil extract (fat extract from Antarctic krill - Euphausia superba), gelatin, glycerin, sorbitol, ethyl vanilla, water. BrainEffect Krill Boost is a food supplement in the fatty acids category.